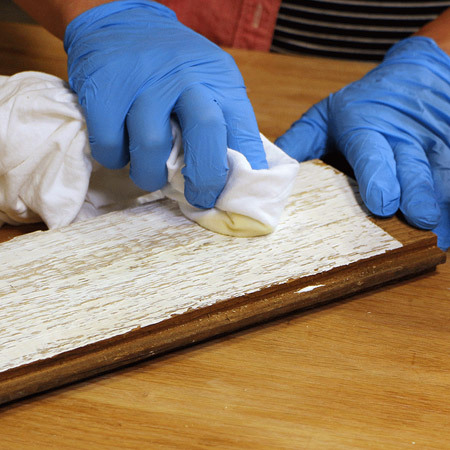 When you're making a project that requires a rustic look you can use one of these methods to whitewash wood. 1. Combine equal parts of water and paint (matt paint preferable). You can adjust the ratio of water to paint to achieve the desired effect you are looking for. 2. 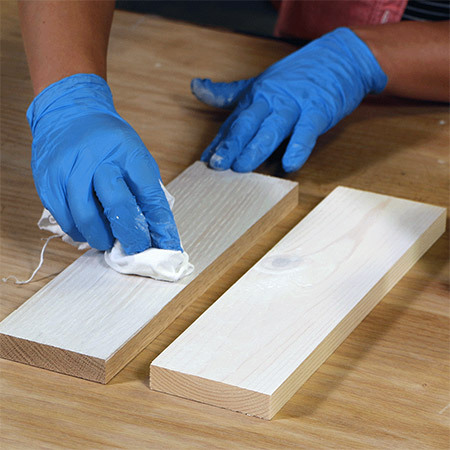 Dip a rag into the watered down paint and apply liberally to the surface of the wood, evenly distributing paint as you go. 3. Allow to dry and repeat as necessary until you achieve the perfect whitewash finish for your project. 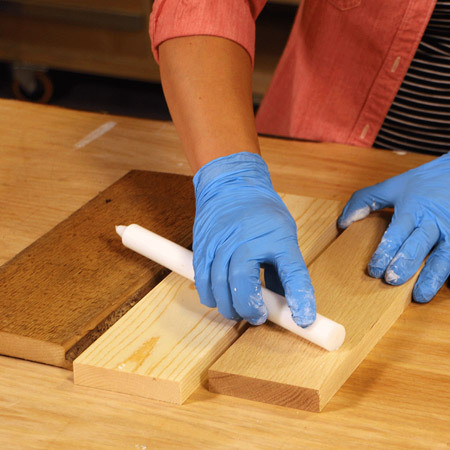 A wax candle can be used to highlight the grain of the wood before painting to give a vintage effect. 1. Rub a candle roughly over the surface of the wood. 2. Paint the entire waxed area and leave to dry for about an hour. 3. Use a soft scourer or rough cloth to scrub over the painted finish. This will remove paint on those areas where wax was applied. If you require a more distressed finish, lightly sand with 120-grit sandpaper. 1. For this method simply pour a bead of paint onto the surface of the wood - down the centre of each board. 2. 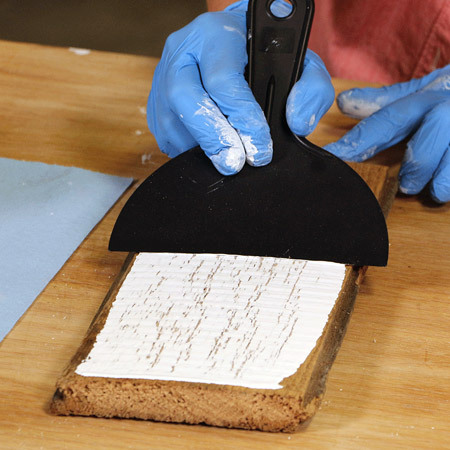 Drag a plastic scraper across the surface to fill only the grooves in the wood with paint. GOOD TO KNOW: Always protect your painted project with a suitable sealer, varnish or wax - depending on your preference.